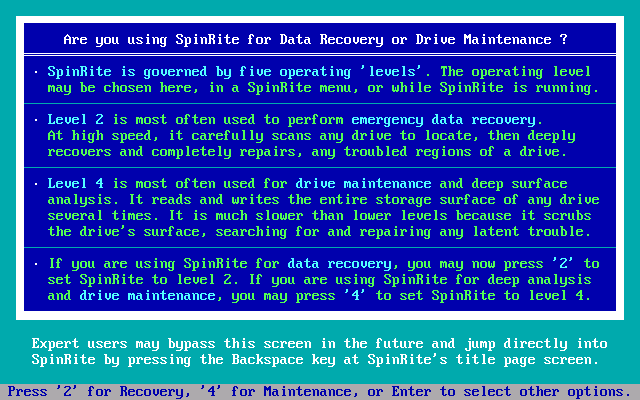 I have heard about the SpinRite program on Security Now many different times. I have recently been looking through the owners manual trying to figure out what the different levels do. I’m really trying to figure out which level I should be running on new hard drives before I put them to use in my server.